Please NOTE! Seat Cover ONLY! This does not include actual seat and/or foam. This goes over the seat you already have. We do not make or sell actual seats! 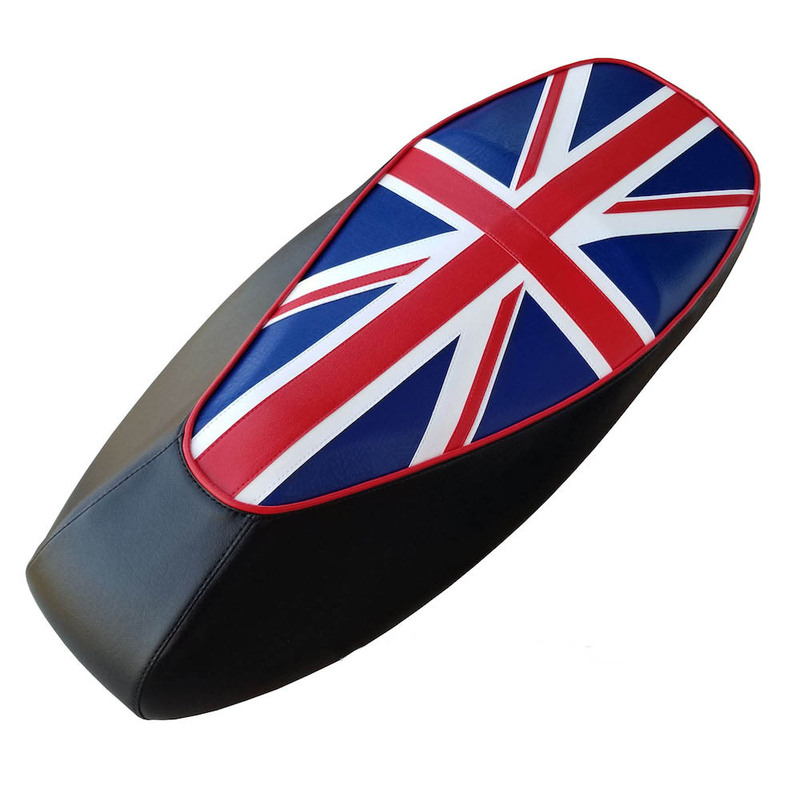 We are very pleased to present our beautiful Union Jack seat cover for the Vespa GTS! For those who love the iconic look of the Union Jack, but don't want their entire seat covered with the flag, this is a great alternative. In this version, only the top of the saddle has the Union Jack, along with a line of red piping. Wow! We love it!! 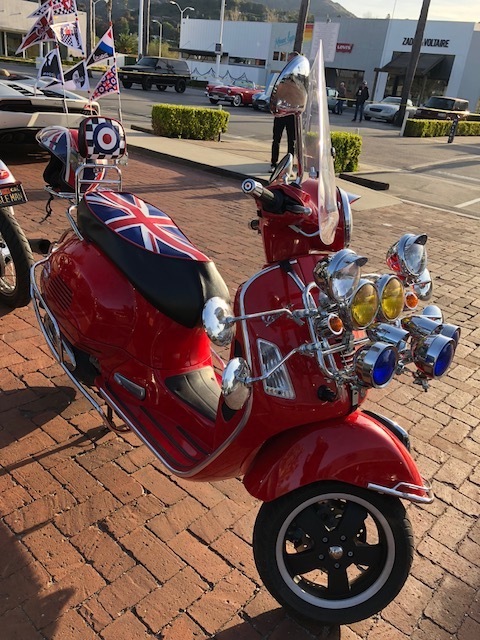 Our Union Jack is not printed, it is fully sewn and is waterproof, UV stabilized (will not fade) and is designed for years of serious use. Handmade in Pennsylvania. 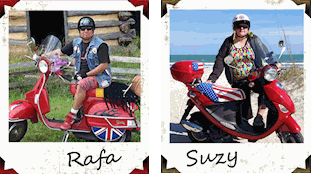 Do you have a Vespa Topcase? 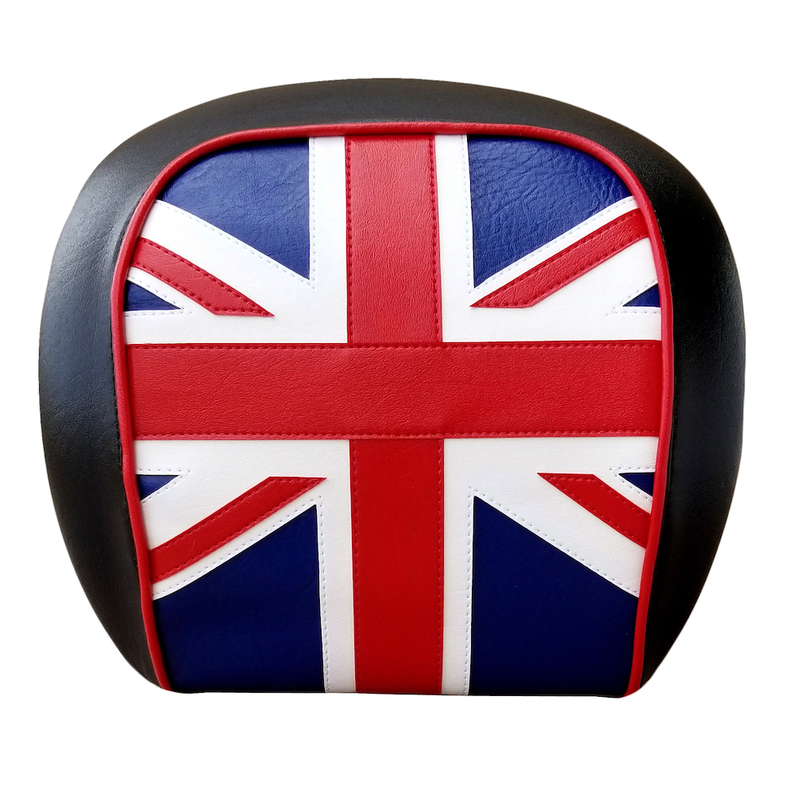 If so, you can order a matching Union Jack backrest pad cover (you must already have the backrest pad.) We make matching backrest pad covers for all years of the GT topcase, through 2018!